Minimum of 2 male/2 female on the court at all times. Roster may contain up to 12 people. For more information call 358-9622. Teenagers 12 – 15 may use all fitness equipment EXCEPT for free weights and MUST be accompanied by a parent at all times. Children under the age of 12 may ONLY use the racquetball courts when accompanied by a parent. Children under the age of 12 may not participate in any fitness classes or utilize fitness equipment. Family fitness is available at The Bradford Branch for ages 7 & up Monday – Friday 4:00 – 7:00 PM. Wellness Branch 9 & up Monday – Thursday 4:00 – 7:00 PM. Children classes are available at The Fitness Center. Minimum age for free weight room is 16. 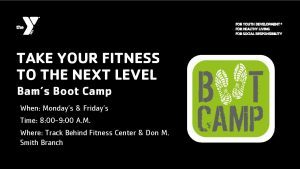 Bam’s Bootcamp– This class is for intermediate to advanced fitness levels, but all are welcome. 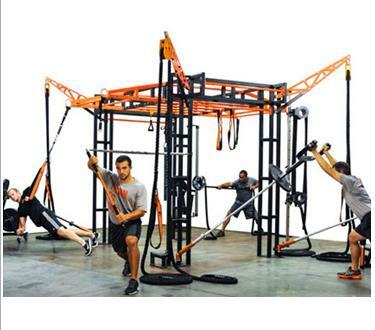 This class is circuit style designed to test your cardiovascular endurance and strength. Exercises will incorporate body weight, tires, plyometrics, running, and dumbells to push you to new limits. 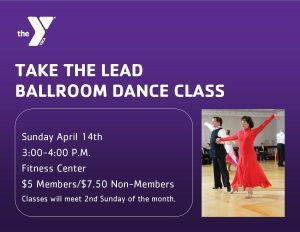 *Ballroom Dance-This class will cover the American Ballroom syllabus, featuring dancing figures of the American Smooth and American Rhythm. No partner is required. This class does have a small fee. Body Sculpting- A challenging total body workout that incorporates HIIT, circuit training, plyometrics, and weights to improve cardiovascular and muscular strength. Core Strength- 30 minutes athletic and functional class designed to improve core strength. Dance Fitness- all your favorite dance routines and music guaranteed to get your body moving and burn calories. Kickboxing- combining traditional kickboxing moves and targets to get a total body workout. Morning Movers- 30 minute class created to improve balance, coordination, and strength. Pacer’s- Free community class for active older adults looking for a way to stay in shape. 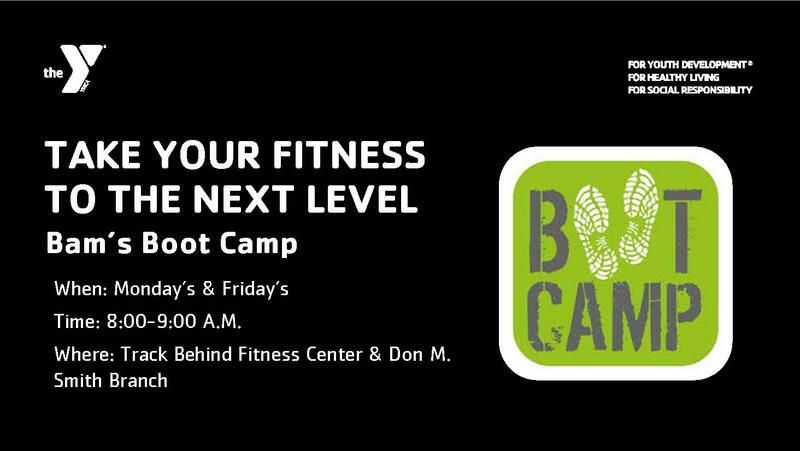 This class is designed to increase joint flexibility and range of motion while maintaining muscle strength. Pilates Mix- This class combines the core strengthening moves of basic Pilates and mixes in a variety of balance, flexibility, and strengthening moves to provide a toning workout from head to toe. PiYO- Combines the muscle sculpting, core strengthening benefits of Pilates with the strength and flexibility of flowing yoga movements. You’ll perform a series of high, intensity, low-impact moves that will work every single muscle. POUND- Full-body workout that combines cardio, conditioning, and strength training inspired by infectious, energetic, and sweat dripping fun. This class will utilize Rip Stix to pound along to the rhythm of your favorite songs. Restorative Yoga- A therapeutic style of Yoga that utilizes props to make it easier for the body to get into poses and help relax into the pose. Focus is on complete relaxation and breathing. Rise & Grind- Designed to meet all fitness levels, Rise and Grind incorporates circuit training and functional movement to get your heart rate up and strengthen your body. Run For It- This class is for any level. It will give you the tools and knowledge to conquer any distance, or it will just give you a running start. SPIN- Indoor cycling class that will deliver a calorie torching cardiovascular workout that will also help increase strength and stamina in the lower body. Strength Train Together- Total body strength training using high-reps, barbells, plates, and body-weight. This class is high energy with dynamic music to get your heart-rate up, sweat, and push you to a personal best. Sunrise Aerobics- This class is for the early risers, and it incorporates high & low-impact aerobics and weight training to start your day off right. 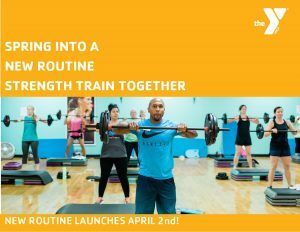 Tone It- This class will use elements of Barre, Pilates, weights, and kettlebells to strengthen and tone the whole body. WOD- Workout of the Day combines functional movement training with high-intensity to give you a fast & efficient workout. Yoga- Improve balance and flexibility utilizing a wide variety of traditional yoga poses to meet all fitness levels. This class is offered at various times to meet anyone’s schedule. 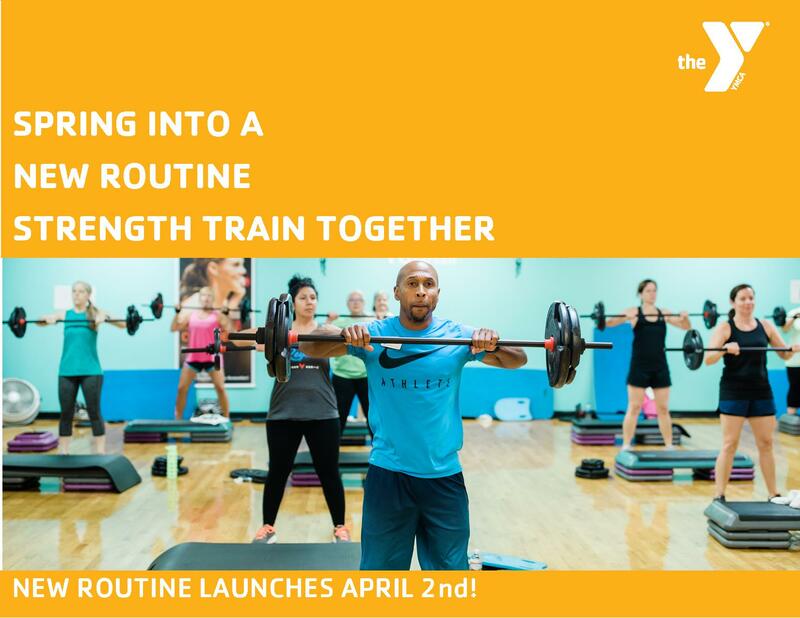 Y-Barre- Tone your arms, legs, glutes, and core through intense strengthening and stretching exercises. Zumba – Combines low and high-intensity moves for an interval style dance fitness party using Latin and World Rythms. Class will cover the basic American Ballroom syllabus dancing figures of American Smooth and American Rhythm. Times: 3:00 – 4:00 P.M.
Come experience Y-Barre where you will tone your arms, legs, glutes and abs through intense strengthening and stretching exercises. Sticky socks are strongly recommended and are available for purchase at the Wellness Branch. Mon, Wed & Fri 10:15 A.M. – 11:15 A.M.
Our Monday ~ Tuesday ~ Thursday night class at Fitness Branch and our Monday ~ Wednesday morning class at Bradford Branch will be changing names! Same great class, just a new name………DANCE FITNESS! This class will help you train for your first 5K or help you earn a personal best. This class is for anyone who enjoys running or is looking for a fresh start. No matter the distance, this class has something for everyone. This class will blast all your muscles with a high-rep weight training workout. Using and adjustable barbell, weight plates, and body weight, this workout combines squats, lunges, presses, and curls, with functional integrated exercises. Dynamic music and a motivating group atmosphere will get your heart rate up, make you sweat, and push you to a personal best! Space is limited due to equipment. There will be a sign-up sheet for the class. This class incorporates elements of Barre, Pilates, weights and kettlebells to strengthen and tone the whole body. Times: 9:00 – 10:00 A.M.
Restorative Yoga is a therapeutic style of Yoga that utilizes props to make it easier for the body to get into poses and help relax into the pose. The focus is on complete relaxation and breathing technique. Days & Times: Friday 9:00 – 10:00 A.M. The Fitness Branch will be offering fitness evaluations to members and non-members. During this evaluation the participant will become aware of their measurements, body fat, cardiovascular endurance, muscular strength, muscular endurance and flexibility, through various fitness tests. 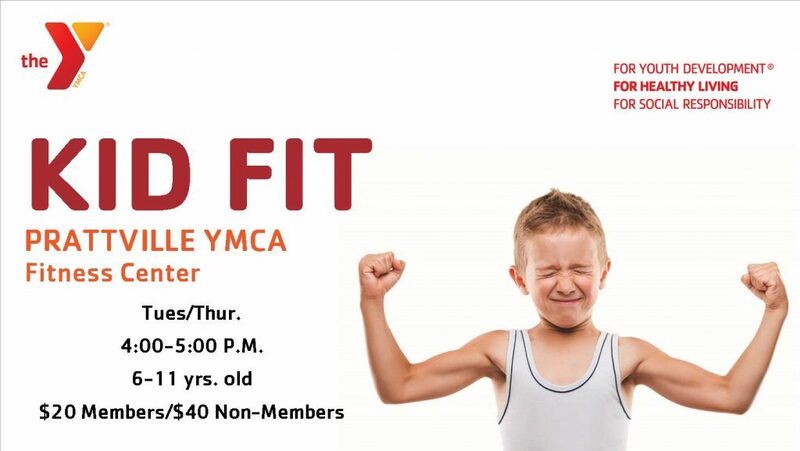 Non-members may get $30 of their joining fee if they get an evaluation and join the Y! During an orientation, a staff member will assess your health history and show you how to use our strength machines. Our staff will get you started with a simple exercise routine to get your program going. This service is free to our members. At the Prattville YMCA, we want to help you achieve your goals. We offer something for everyone, whether it’s weight management, increasing strength or just getting back on track. Remember the great fun you had playing kickball as a kid? Re-live that fun and round up your friends for a kickin’ good time playing Adult Kickball at the Prattville YMCA! For more information contact 358-9622. A fun class incorporating various fitness techniques and principles to help kids develop aerobic endurance, muscular strength, flexibility and a love of exercise. Times: 4:00 – 5:00 P.M. Challenging and fun workout class that will help teens improve their fitness level through interval, circuit, strength & aerobic training. Times: 4:00 – 7:00 P.M. 4:00 – 7:00 P.M. One-on-one nutrition counseling sessions are aimed to help you reach you nutrition goals while discovering a lifestyle that is tailored to fit your needs. Jane Gray can help you break free from the dieting cycle and discover the joys of eating while helping you make realistic changes that will last a lifetime. To respect our Massage Therapist and her time, we ask that you provide adequate notice if you are unable to make it to your appointment. If you fail to show up for a scheduled appointment, you will be charged for the price of your massage. The Fitness Branch offers two racquetball courts & two tennis courts. Please make reservations 2 days in advance for racquetball court. Diabetes Academy is a free class given by our Registered Dietician, Jane Gray Bledsoe, to help you learn about managing diabetes. Diabetes 101 – covers basic diabetes information and terminology. 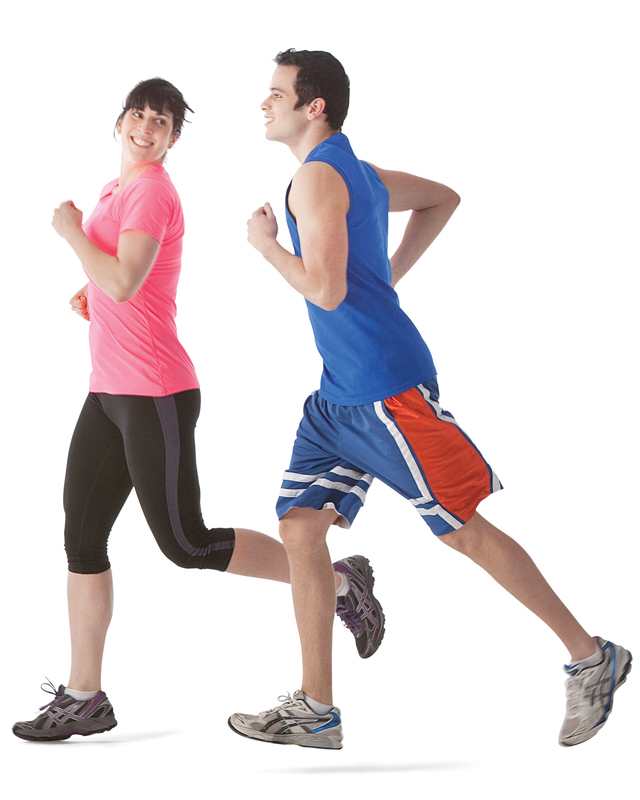 Staying Healthy – provides convenient tips for eating healthy and staying active. Has your doctor prescribed an exercise program? The Y offers a specialized exercise program for those needing a supervised exercise program. Kardiac Kids is free with your Y membership. *Free daily lockers are available for use.